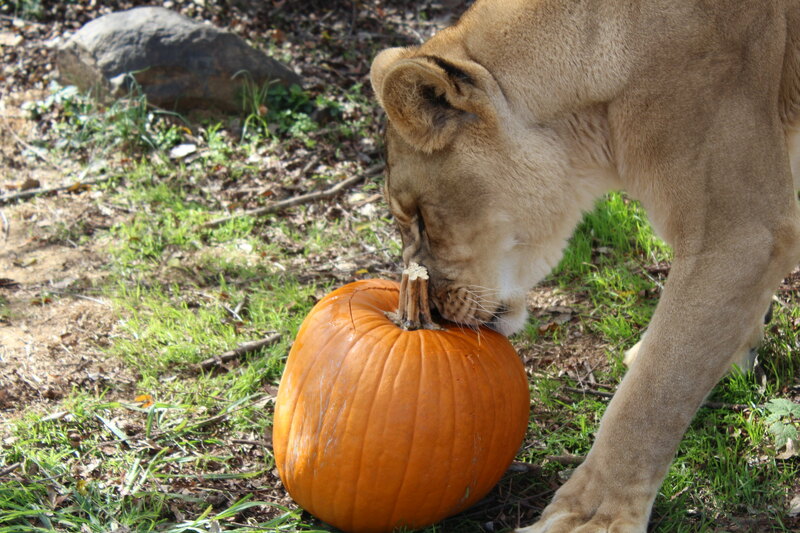 Fall is finally here and we’re celebrating by having some enrichment fun with the animals. 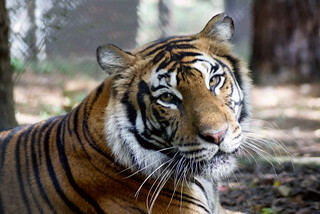 Carolina Tiger Rescue’s enrichment program provides physically and mentally stimulating activities and toys for all the sanctuary’s residents. Enrichment allows animals to demonstrate their species-typical behavior, stimulates the senses and enhances their well-being. It’s just as essential to animal welfare as proper nutrition and veterinary care. After hollowing out the pumpkins, we stuff them with raw meat and spray them with scents. We leave them as enrichment items in an animal’s enclosure and watch the fun as tigers and caracals come bounding in to inspect that strange orange orb in their territory. Their eyes light up and they are immediately intrigued. 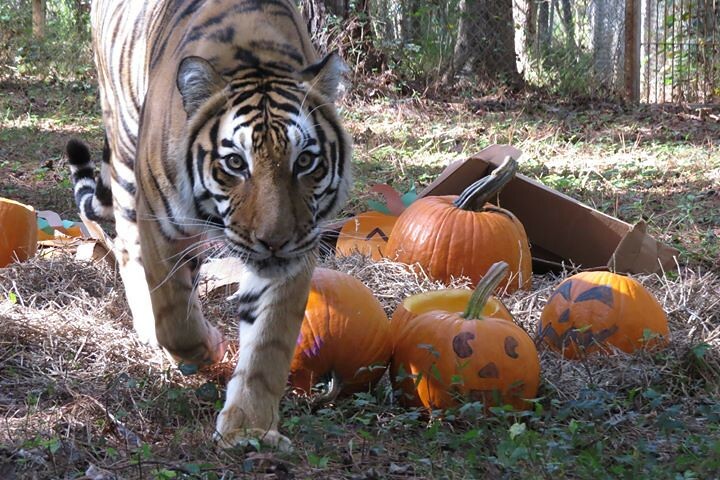 Some of our cats go right for the meat inside the pumpkins, others rub happily on the pumpkins. It’s really a neat thing to see the wonder and delight in a rescued animal’s eyes. Send us your pumpkins! 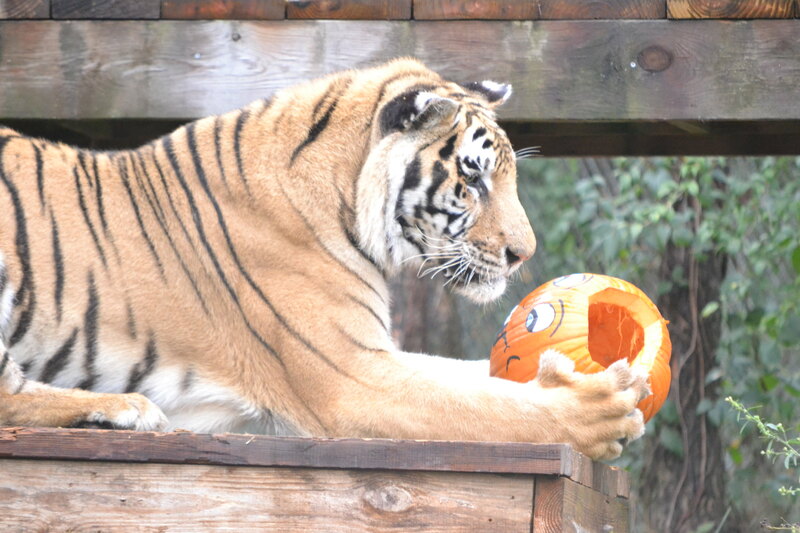 Our animals will love the gift of an uncarved, unpainted pumpkin to stimulate their senses. We will be collecting pumpkins for October and November, so keep us in mind when you clean off your Halloween porch decorations. Any size and shape, even lumpy pumpkins will do just fine, as long as they are undecorated. Decorated pumpkins may harm our beloved furry friends.